The eagle-eyed have noticed what looks like two new terrain pieces in photos contained in the new Warhammer Expansion "Triumph & Treachery". My guess is that this may be some sort of dual kit such as the Storm of magic fulcrums. Anyway key an eye out over coming months to see if some does eventuate. Games Workshop have a history of hiding new models - particular terrain - in full view. cool, that's one thing that has always bugged me about 8th edition it trying to find nice looking terrain to represent the huge list of random things. 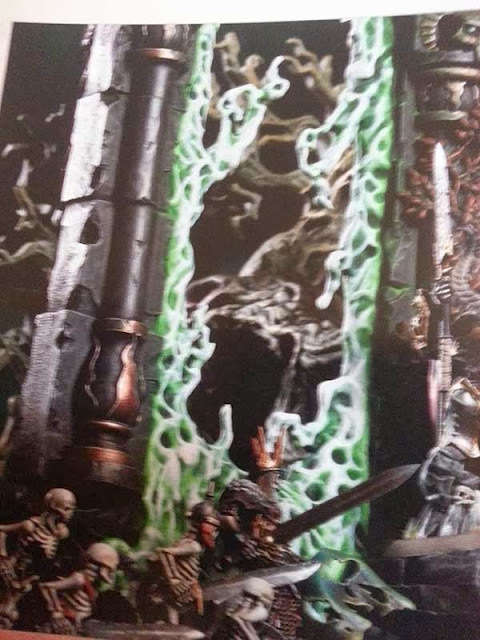 Really like GW's recent efforts in the terrain scene so looking forward to even more!